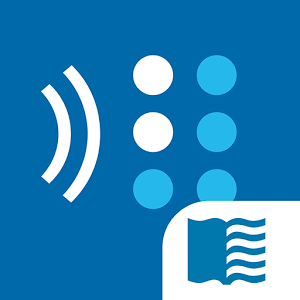 The Atlantic County Library System through a partnership with the New Jersey State Library Talking Book & Braille Center (TBBC) has resources available for the visually impaired including Braille and Audio Reading Download (Bard) and the Library Equal Access Program (LEAP). TBBC services are available to NJ veterans and residents who cannot read standard print books as a result of vision loss or impairment, a physical handicap, or a learning disability and are deemed eligible to participate in the program. An application for eligibility must be filled out and submitted to the Atlantic County Library System. You must be approved to participate in the program. You may print the Application for Library Services and Certificate of Eligibility from the TBBC website or visit your local branch of the Atlantic County Library System for help obtaining a copy. BARD gives access to nearly 80,000 unabridged audiobooks, audio magazines, music scores and, braille files for these who qualify. The Egg Harbor Township Branch, Galloway Township Branch and Ventnor Branch of the Atlantic County Library System can provide assistance registering for and using the BARD services. 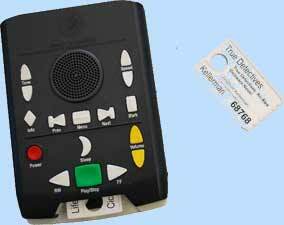 If you are registered with the TBBC, digital talking-book players are provided by them and may be available through the Atlantic County Library System. These devices are provided at no cost on a long-term loan basis. You can listen to audiobooks in two ways on the player: on digital cartridges TBBC loans to you or by downloading audiobooks and audio magazines from BARD to a flash drive via the Braille and Audio Reading Download website. You must be registered with TBBC and you must have an account with the Braille and Audio Reading Download site (BARD). Call TBBC at 800-792-8322 for more information and visit their BARD Mobile App webpage. Library Equal Access Program (LEAP), offers free training in assistive software to New Jersey residents 55 and older with vision impairments and who have difficulty reading standard print because of vision problems. The resident does not have to be registered with the NJ Commission for the Blind and Visually Impaired (CBVI) to participate. LEAP classes are for beginners who want an introduction to computers & iPads that offer a better way to read with magnification and speech. Training will be provided by Advancing Opportunities and will be held at three public libraries in New Jersey: The Atlantic County Library (Reference Center), the East Brunswick Public Library and the South Orange Public Library. Any one eligible who would like to register for a class, should call Advancing Opportunities, Assistive Technology Services, at 888-322-1918, extension 595. Jaws (v16): Text-to-Speech software from Freedom Scientific. Magic (v13): Magnification software from Freedom Scientific. Talking Typer (v 1.13.5): A talking typing & computer keyboard training program from the American Printing House for the Blind (APH). ZoomText (v 10.1): Magnification & speech software from AiSquared. When not in use for LEAP classes and training, these computers, with the assistive technology, will be available to the public. The 8 Air2 iPads are available for LEAP participants' training and use and are loaded with 13 Assistive Apps including BARD mobile, eMagnifier, ColorId and TextDetective. **LEAP is made possible through partnership with the NJ Commission for the Blind and Visually Impaired (CBVI) and the NJ State Library Talking Book & Braille Center (TBBC).